El Cajon, CA, May 3, 2016, Shirley Apple Murphy, Owner at Taspan Consulting Group, has been recognized by Elite Women Worldwide, for dedication, achievement and leadership in consulting. 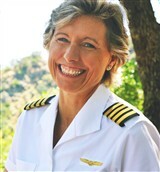 Clayton, CA, April 18, 2016, Debra Bartz, Owner of Learn Conquer Soar Coaching and an Airbus 320 Captain for United Airlines, has been recognized by Elite Women Worldwide, for dedication, achievement and leadership in life coaching and aviation. Ocala, FL, October 21, 2015, Jeanne Henningsen, Owner of Jeanne Henningsen Worldwide, has been recognized by Elite Women Worldwide for dedication, achievements and leadership in business consulting. Since 2003, Ms. Henningsen has been coaching women looking to succeed in business. Her seven strategies for regaining balance and getting ahead have enabled hundreds of women to set career goals and achieve them while continuing to maintain their responsibilities as mothers and caregivers. 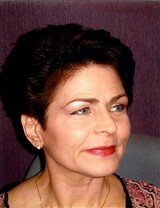 “To see results from our work together requires you to be fully committed, ready to make changes, willing to explore new perspectives, and open to receiving feedback,” says Ms. Henningsen, who demonstrates her own commitment to her clients by offering her guarantee that working together will lead to measurable results in their happiness and focus.